Journey of a Tibetan: Reinventing The Art of Protest? To begin with, lets take a look at the protest outside the Camber of Commerce, a building standing opposite to the street facing the back of the White House. According to the organizers, Xi Jinping was supposed to arrive 3.00PM at this venue. Tibetan protesters (with Uighurs, Falun Gong, Mongolians, and few Chinese dissidents) waited across the streets with their representative flags, banners, and slogans. 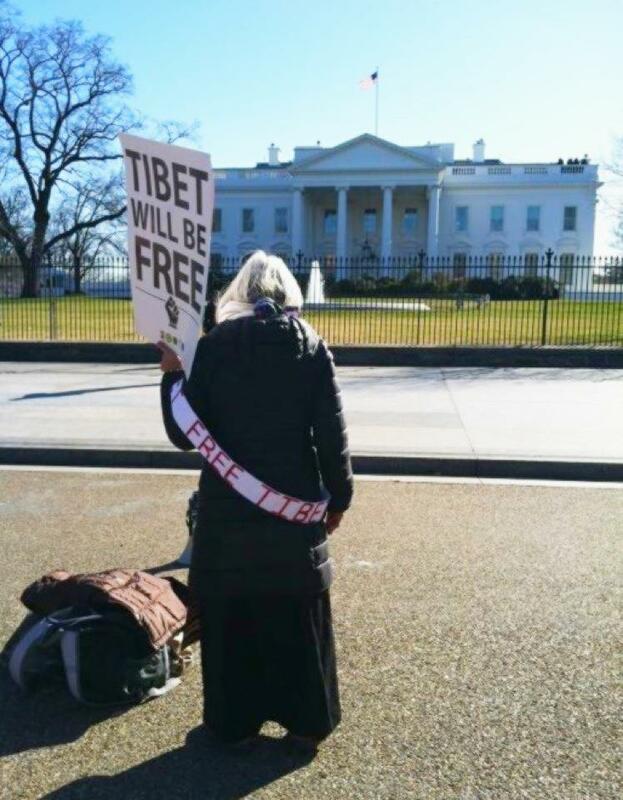 Though Xi Jinping arrival was delayed by about two hours, Tibetans did not wait to protest. Right after 3.00PM, Tibetans started (and continued) to boo any Asian lookalike (assuming them as Chinese) entering or leaving the building with scathing accusations of injustices in Tibet. Some even confront them directly on the street with Tibetan National Flag and shouts. How about News headline reading like this: “Tibetans Pled China’s Next President for More Freedom in Tibet”; and “Tibetans Hope A Better Future With Xi Jingping” rather than the same-old headlines. How about this: Giving President Obama an opportunity to say Xi Jinping at the White House, “See the people outside this White House. They have a high hope of you in improving the human rights conditions in China and Tibet”. Xi might not respond but he will definitely smile. Read also: The Coming Collapse of Tibetan Freedom Movement? Yes, I agree with the article, its quite brave of you to have written this piece. All fellow Tibetans, don't get offended by this piece, but rather think of deeper meaning and impact. Our fight is long and we must prepare for sustaining our struggle as Chinese government plays with time. Change is definitely needed as far as the Tibet Issue is concern but its always the same thing that keeps coming back....Hope to See some changes indeed.